With digital technology that delights customers and delivers true value to homeowners, HōmDNA delivers a superior closing experience and gains favor with homeowners who consider easy-to-use technology a requisite. Open new avenues of customer engagement for years after close. Identify customers ripe to expand their relationship. Have "first-mover advantage" with customers likely to refinance or repurchase. Drive relevant customer contact not seen as nuisances or spam. Delight customers by making the mortgage-to-own process truly turnkey digital technology. We offer lenders a unique opportunity to drive borrower engagement, business and loyalty while elevating their customers' mortgage closing and homeownership experience. 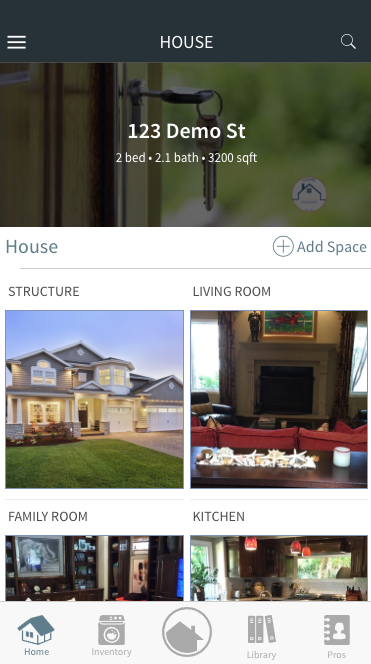 With most of their home information already populated from their appraisal - including photos, data and documents - homeowners download the app and in seconds begin managing home projects, documents and assets (like appliances with a few clicks . 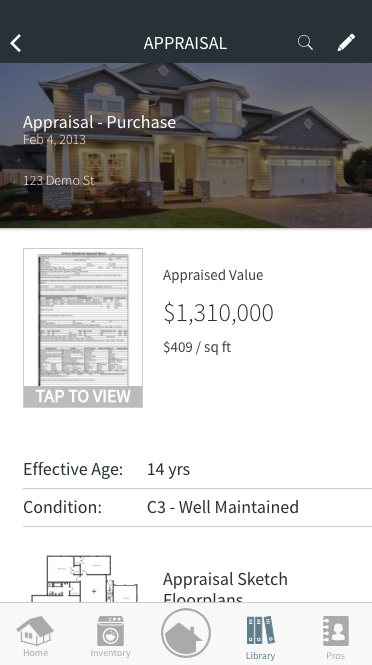 HōmDNA parses the most vital information a homeowner typically needs into an Appraisal Summary. This easy-to-digest summary is provided along with the full appraisal to the borrower electronically on the loan officer's behalf and branded to the lender. "Borrower Indication Triggers" help fuel relevant re-engagement with customers during the years in their home. Triggers are based on market data, property and insights from homeowner interests and user activity.